5th Annual Blueberry Festival coming soon! Millions of delicious blueberries are on the bushes this year, and we begin bringing them to farmers markets the first week in June. 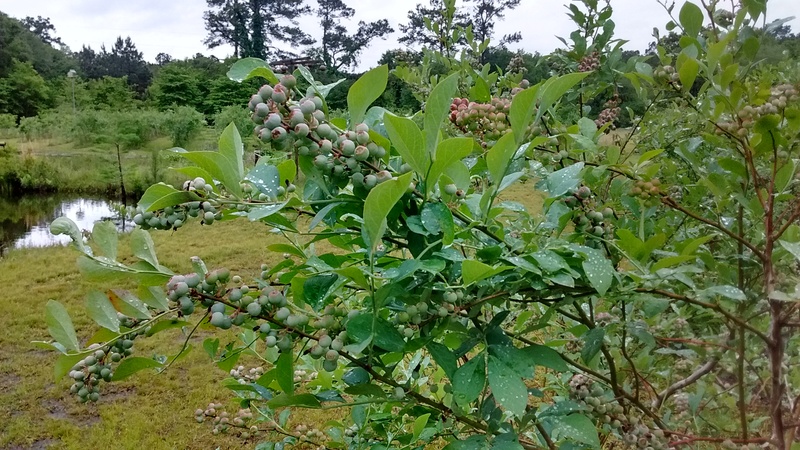 Our farm is a pick-your-own on only one special occasion, the Lowcountry Blueberry Jam and Blueberry Festival on Sunday, June 21,12 -7 pm. June 21 Fifth Annual Blueberry Festival. Volunteers welcome. Blueberry and bee garden tending happening now. 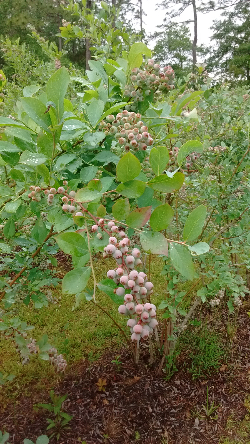 Free blueberry plant or honey for each three hours of your time. Save the date: June 21, 12-7 pm, for the Fifth Annual Lowcountry "Bluesberry" Jam and Blueberry Festival! Blueberry deliciousness all day, with live music, the Lowcountry Blueberry Toss, blueberry picking, environmental touch tent, and the Sea Turtle Program of the Friends of Coastal South Carolina, plus much more. We have a bumper crop of blueberries this year, and they will start coming to markets the first week in June. Please note that the only public picking available is at the Blueberry Festival on June 21. 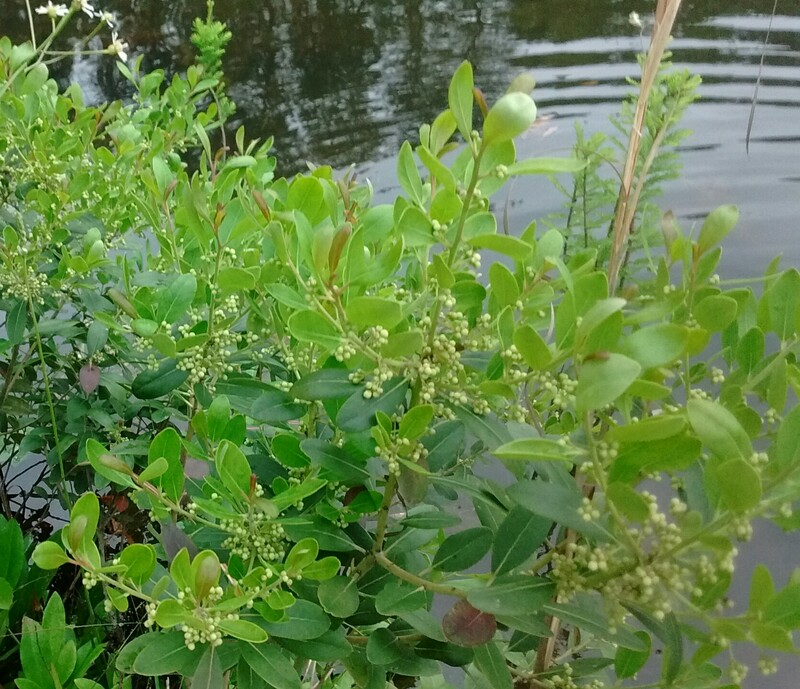 At Blue Pearl Farms, our bees forage on the wild longleaf pine forest plants, especially the white holly, or gallberry, a native plant found alongside ponds and other wetlands. 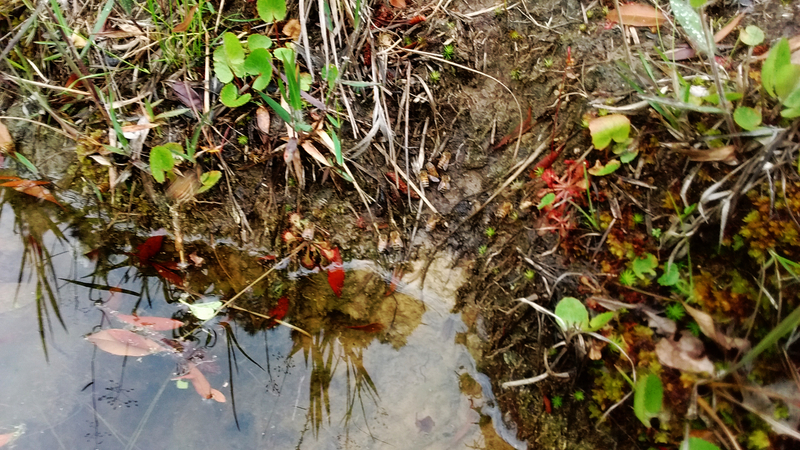 They also need minerals, finding them in the clay rim of Cypress Pond here at the Pearl, centered in the photo below between a couple of red-paddled carnivorous sun dew plants. Curious about bees? We offer individual apiary experiences. Our Certified South Carolina Roadside Market is open from 830 am until 5 pm Saturdays and noon till 5 pm on Sundays at the farm at 9760 Randall Rd near McClellanville, just off Hwy 17. Farmers markets continue on Tuesdays and Saturdays, and you can always find pure, raw, and 100% Blue Pearl Farms honey at our online store, along with our products of the hive from beeswax candles to Brittle Buzz and Buzz Cream. Free shipping for orders over $30.